This month you are invited to try some local craft beer with us, learn marketing tips from one of the best in the food biz, and join us for a unique brewery brunch. Stay in touch and find some great recipes at Moonbay Gourmet. 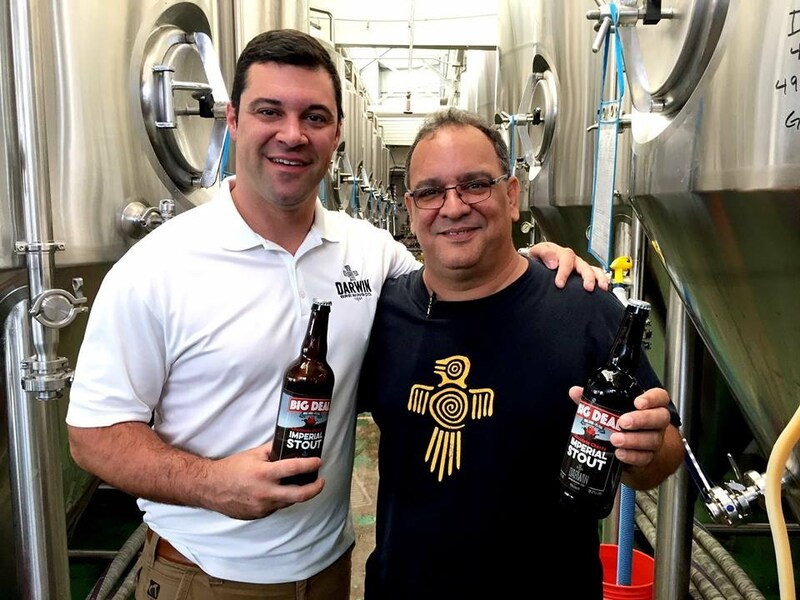 Darwin Brewing owner Matt Cornelius & Head Brewer/Co-Founder Jorge Rosabal invite you to enjoy their craft beer at Lucky's Markets throughout Florida. 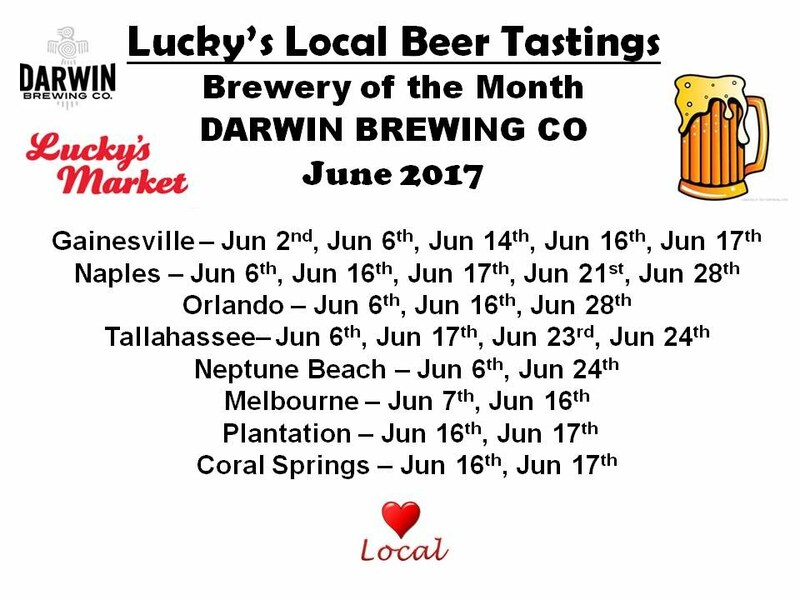 They have been named Lucky's "Brewery of the Month" and will be sponsoring tasting events throughout the state in June. Come join the Moonbay Gourmet team as we pour across the state. Cheers! 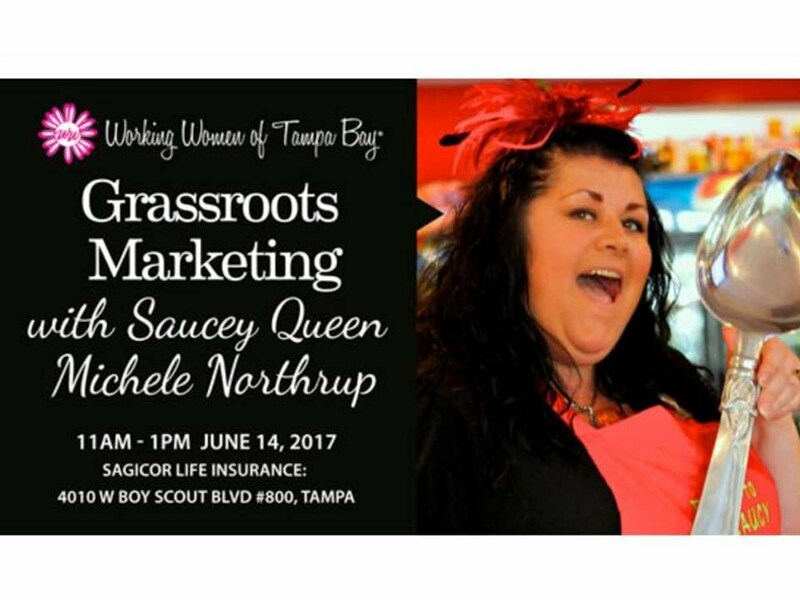 Learn sales & marketing tips from one of the best in the food industry, the Saucy Queen herself Michele Northrup, founder of Intensity Academy Gourmet Sauces. This Working Women of Tampa Bay event is $25 for member and $35 for non-members. Worth every penny. Brought to you by Tampa Bay Made & Your Pro Kitchen Tampa, this event features a Farm to Table Brunch (11 - 1 pm) from Gulf Coast Sourdough & Peaceful Pastures , live music and beer cocktails from Steve's Gourmet Olives & Tidal Boar Ginger Beer. Free admission, free parking & family friendly. We are a Tampa-based sales consulting firm providing social media marketing, on-site demos, trade show support, photography services & more. Let us know how we can help you grow. 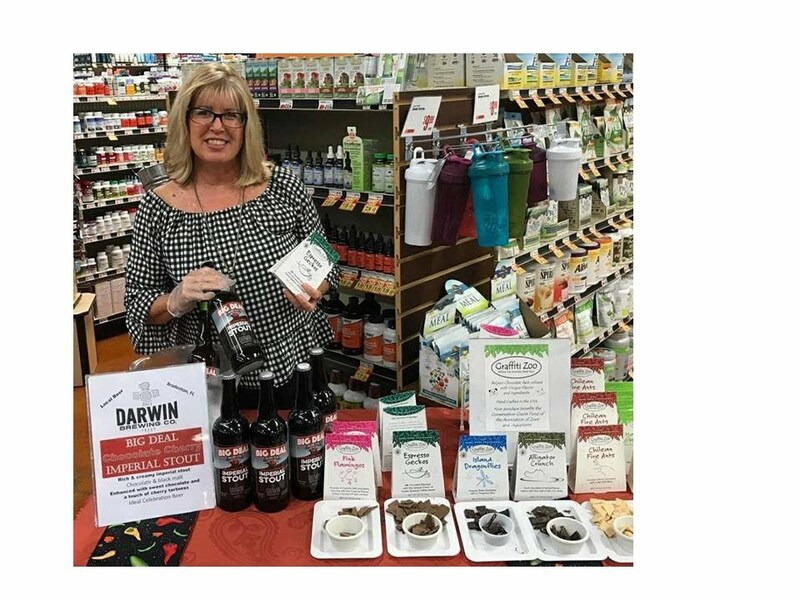 April sampling Darwin Brewing Co beer & Graffiti Zoo chocolate at Lucky's Market Naples. June 11th - Seminole Heights Sunday Market, 11- 3 pm, Southern Brewing & Winemaking. June 18th - Safety Harbor Market on Main, 10 - 2 pm. 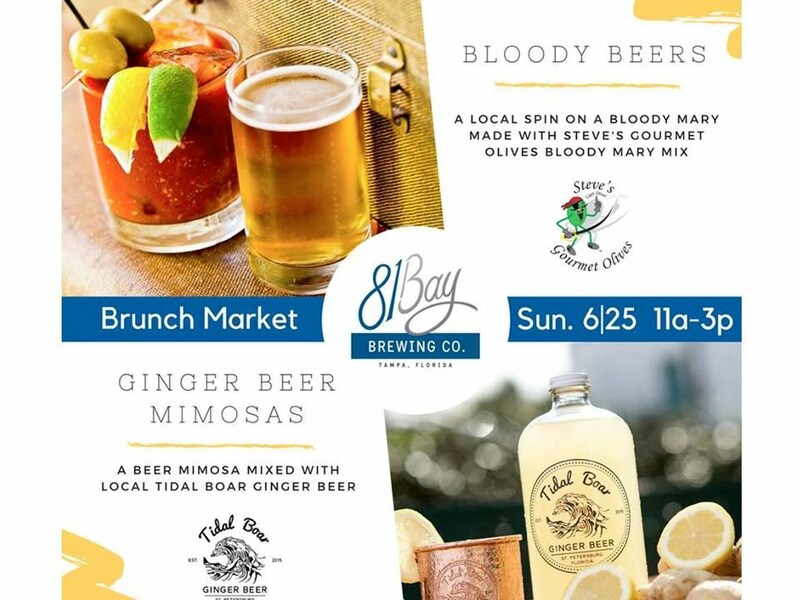 June 25th - Sunday Brunch Market, 11 - 3 pm, 81 Bay Brewing Co, free admission, brunch, beer cocktails, music and local vendors.